Cleaning Services Kerry and Cork. Professional Cleaning Services in Kerry. Maid Services in Killorglin Town. Are you looking for a cleaner for your home? Maid2Clean cleans houses in and around Killorglin Town. We offer you a premier domestic cleaning service and at affordable price. We pride ourselves in providing a professional & reliable cleaning service at a competitive rate. We handpicks only the best local cleaners from your area in Killorglin Town and County Kerry. You will have the peace of mind of knowing your cleaner has been interviewed by us, reference checked and is insured. We are here to make sure that your house is cleaned just the way you like! Benefits of our home cleaners in Killorglin Town County Kerry. The same regular weekly cleaner every week as standard. Cleaners are comprehensively vetted and insured members of our team. We stay in regular contact with the cleaner and manage them. Change your cleaner at any time. Flexible service is designed to fit around your lifestyle. We take care of your cleaning so you can spend your time doing what you want to do! Our domestic cleaners are more than happy to take care of a wide range of cleaning jobs around your home which can be provided at no additional charge. At Maid2Clean we understand the importance of flexibility so you can make changes to your regular cleaning service that can be tailored around specific tasks. Call 066 401 0132 today. Regular house home cleaning in Killorglin Town Co. Kerry . If you would like a weekly clean our regular service is perfect for you. Simply get in touch and let us know the amount of hours you would like. Holiday and sickness cover is provided if needed – call us and we can arrange temporary cover whilst your regular cleaner is off. One off Blitz House Cleaning in Killorglin Town Co. Kerry. A great service for those times where you just need a deep spring clean or after a special event. Your cleaner will tackle all of the chores that need completing to turn your home into a palace. This clean can take from 3 to 6 hours depending on the size and needs of your home. All cleaners are covered by the necessary insurance to work in your home. This is covered in the hourly rate and there are no hidden charges. 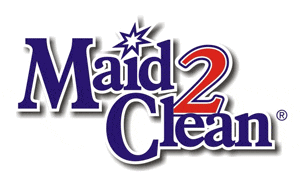 Maid 2 Clean Dedicated House Cleaners in Kerry and Cork.